I've always wanted to bring just a little box to a presentation, plug it in to the projector, and start talking. Why tote a bulky laptop? Or, what if you want to do something else with your laptop, like search for supporting documents while you are in the middle of your talk? 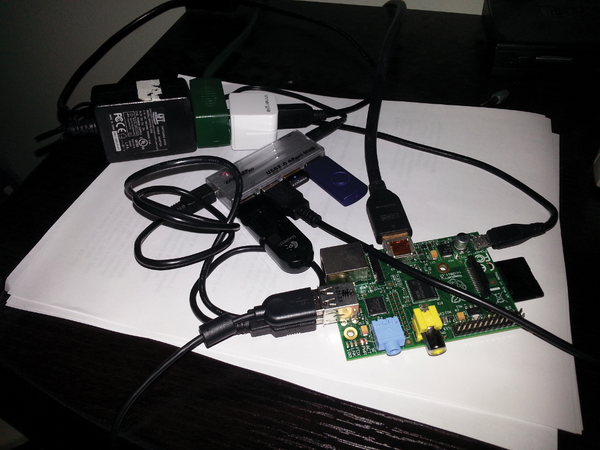 Off-loading your presentation to a Raspberry Pi simplifies logistics and saves podium space. My presentations regularly discuss small components, printed circuit boards, and electronics modules, and I like to show those devices to the audience as I point out important features and give commentary. So, I built a small device to show both slides and views of these electronic components in real time. In this article I show how I built my Raspberry Pi presentation machine. The Raspberry Pi has an HDMI output that will connect to most modern slide projectors of big-screen TVs. I'll also use a webcam – in this case, a Logitech C310 webcam – to capture live video of the components I'm describing in my presentation. In a more conventional setting, the video camera might point at the speaker or at some event or procedure that the speaker is describing. Of course, my Pi also needs a monitor, keyboard, mouse, and a reliable USB hub (see the "Hardware Configuration" box for more details). Raspberry Pi model B , with 512MB RAM, two USB ports, and 100MB Ethernet running on a 5-volt, 1-amp wall wart. An HDMI port is hooked up to a Sanyo DP42841 42-inch 1080p LCD big screen TV as a monitor. The idea is to hook up the presentation machine to an HDMI projector at events. As I'll show in this article, my solution also depends on the power of the Pi to support multiple desktops. Figure 1 shows my prototype presentation machine. Figure 1: The Raspberry Pi serves as a quiet and compact little presentation machine. The software described in this article runs on nearly any Raspberry Pi Linux. I used Raspbian  because I like the simple, uncluttered look of its desktop (see the "Software Configuration" box for more). If you haven't done so already, download Raspbian and burn it to an SD card, plug the SD card into the slot on the Raspberry Pi – make sure everything is connected properly, including your keyboard, mouse, WiFi USB adapter, and the powered USB hub – then, turn on your projector or big screen TV and power up the Raspberry Pi. After the Raspberry Pi boots, raspi-config starts automatically, and you can do the initial configuration. When you select Expand Filesystem, a pop-up dialog appears labeled Root partition is resized. Select OK. Next, in the Change Password pop-up, type OK and enter a new password. Select Enable Boot to Desktop/Scratch. Because video streaming is a resource-intensive task for a little computer, I chose to overclock my Pi for the maximum performance. Select Overclock and up the clock speed to 1GHz, 500MHz core speed, 600MHz SDRAM speed, and 6 overvolts. Type Finish then click Yes to reboot. Log in as pi with the password you set up earlier at the graphical login screen. Once the desktop appears on the Raspberry Pi screen, click the WiFi Config icon to bring up the wpa_gui window and click the Scan button to look for your LAN. Double-click your LAN under the scan results and click the Add button on the pop-up screen. Finally, click the Connect button on the wpa_gui screen before closing the window. You'll need the WiFi connection to download and install LibreOffice Impress and the GUVCView software. You might have to monkey around with your router settings to get the Raspberry Pi to connect to your network, particularly if you run encryption, access point authentication, and other safeguards. Of course, you could also use a wired Internet connection to download the software. I hacked the Logitech web camera to get access to the focus ring. I needed to adjust the focus down to about 4 inches. The Logitech C270 focus adjustment tutorial  showed how to remove the glue spot securing the focus ring: unscrew the lens for closer focus; screw in the lens to focus at infinity. For the initial testing, I rested the C310 on a table, pointing the camera at a spare Arduino balanced on edge with a white sheet of paper for a backdrop (see Figure 2). Some type of stand, possibly with a few white LED lights, will give me a steadier image and is on the to-do list. 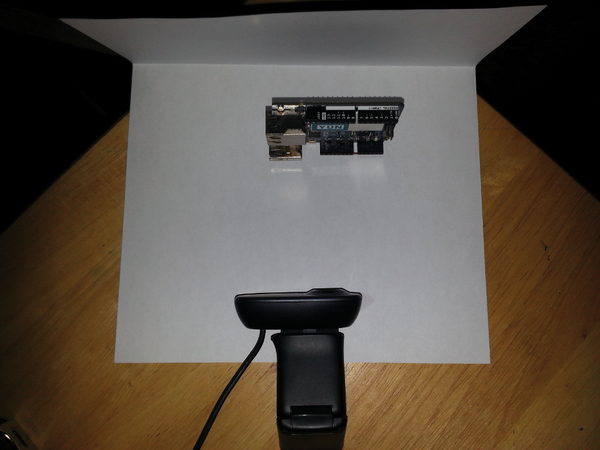 Figure 2: The camera views an Arduino Yun board I plan to discuss in my presentation.